LONDON (Alliance News) – Hedge fund Man Group PLC on Thursday reported a rise in first quarter funds under management on the back of a strong investment performance. Man Group’s funds under management at the end of March were USD112.3 billion, 3.5% higher than the USD108.5 billion reported at the end of 2018. There was a USD4.5 billion positive investment movement during the quarter, but net outflows of USD700 million. “While we expect clients to continue adjusting their portfolio allocations during the second quarter, we see ongoing engagement with clients on new mandates and, in particular, continuing strong demand for our total return strategies,” Ellis added. Man Group also said its proposed change to its corporate structure is on track, and shareholder approval will be sought during May. Man Group will be incorporating a new group holding company in Jersey but will remain a London listed company and remain a UK tax resident. Shares were 0.6% higher on Thursday at a price of 142.35 pence each. Qatar and the UK are expected to sign several new agreements at a forthcoming high profile event in London. Some of these agreements will be dedicated to set up fintech incubators in both the countries aiming to transform Qatar into a regional hub of financial technology, said the visiting Lord Mayor of the City of London, Peter Kenneth Estlin, yesterday. Both the countries are working aggressively to deepening and expanding bilateral cooperation in all fields, with special focus in boosting ties in business, trade, investment, baking, finance, and financial technology (fintech). The upcoming ‘Qatar Day’, to be held in London on April 26, is expected to be a landmark event in the journey of bilateral economic relations between Qatar and the UK, which is strong, deep rooted and historic. These agreements are to be inked between several key entities from Qatar and the UK to expand cooperation and investment. During the meetings at the event both side are expected to discuss how technology can be more broadly applied in digitizing the Qatari economy and some incubations can be set up here in Qatar as well as in the UK through joint investments. The Lord Mayor also said that over 160 business leaders from a wide-range of industries, including banking, finance and financial technology, are expected to participate in the ‘Qatar Day’ event. The high-profile meetings, which will be attended by who-and-who of the government and private organizations from both the countries, will include CEOs of the Bank of England (country’s central bank) and London Stock Exchange and others, and discuss ways to boosting cooperation. “We are expecting at least half-a dozen agreements to be signed around the Qatar Day in London to establish business cooperation in different sectors, including fintech, health, energy and other sector, which could benefit from an incubation type culture”, the Lord Mayor told reporters at a roundtable discussion. Estlin, who is the 691st Lord Mayor of the City of London and an Alderman of the City of London Corporation, is working to strengthen the UK’s financial sector which contributes over 12 percent of the country’s GDP by forging partnership with other countries. This was follow up visit by Estlin after his predecessor Charles Bowman, the 690th Lord Mayor of the City of London, who visited Qatar in September last year to boot the bilateral cooperation. He reiterated that both sides are expected to discuss and explore ways on how the UK can pragmatically support in developing Qatar’s financial sector, particularly the fintech, Islamic finance and green finance, which are some of the important agenda of the Qatar Day event. He said that during the discussion the topic of Brexit also came up, but he noted that it is not going to have any adverse impact as the UK is looking forward to longer term cooperation and greater adoption of free trade not just with the EU but internationally. He also noted that the UK’s cybersecurity and fintech sectors are expected to create 35,000 new jobs over the coming years. Alderman Estlin, who is also an advisor to Barclays plc, and having extensive experience in servicing the finical sector, had scheduled meetings with top officials of Qatar Financial Centre (QFC) Authority to discuss ways in enhancing cooperation and encouraging business for a win-win situation. Altneuro has gained its brownie points by reinventing Altcoin trading and making task easy for the cryptocurrency traders. Team is proud to present how computer neuroscience has made all the difference in the Altcoin trading. London, United Kingdom – April 8, 2019 – Traders find it difficult to rely on Bitcoin transactions and the risk is always involved. Altneuro has picked up this inhibition and overcome the hindrances. With the use of computational neuroscience, verification of transactions can go hassle-free. Altneuro is seeking to reinvent Altcoin algorithms that include the AI equations. The algorithm used will benefit in computation function and will make the operations towards Bitcoin trading simpler. Altcoin trading works with the essence of computer neuroscience the manual aspect of the cryptocurrency trading has lessened. Altneuro takes pride in showcasing its user-friendly experience of trading. The company promises to offer integrated and a safe trading protocol that will not waste the traders’ time or money. We wish altneuro.com all the best in the venture they have taken up. With the growing number of hacks and bugs in the market, Altcoin trading with Computer neuroscience seems to be the safest. Altneuro is the rapidly rising and most promising crypto trading platform. Altneuro focus on providing profitable crypto investment solutions via computer neuroscience. Their focus is to provide high profit marketplace to everyone. Altneuro’s mission is to constantly operate towards to enhance and educate people about crypto and their advantages in real life. LONDON, UK / ACCESSWIRE / April 8, 2019 / Dialog Semiconductor Plc(XETRA:DLG), today announced the completion of its previously announced transaction with Apple to license certain power management technologies and transfer certain assets to Apple. Additionally, more than 300 Dialog professionals will become Apple employees, adding their talents to Apple’s industry-leading Hardware Technologies team. Signed in October 2018, Dialog will receive $600 million in total, consisting of a payment from Apple of $300 million in cash for the transaction and prepayment of $300 million for Dialog products to be delivered over the next three years. Dialog has also been awarded a broad range of new contracts from Apple for the development and supply of other mixed-signal integrated circuits. 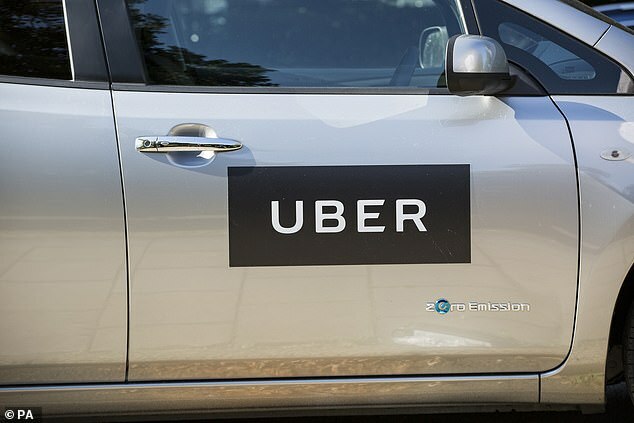 Uber passenger travelling through central London face an additional £1 surcharge on fares within the congestion charge zone as Transport for London strip the exemption for private hire vehicles from paying the levy. Until this weekend, private hire vehicles did not have to pay the £11.50 London congestion charge which operates between 7am and 6pm on weekdays. From Monday morning, most drivers for firms such Uber will have to pay the levy when entering the zone. The ride-hailing app said the money will go directly to drivers to help cover the £11.50 daily fee charged by Transport for London (TfL). Drivers of private hire vehicles, such as Uber cars, will have to pay Transport for London’s congestion charge from Monday after previously being exempt. A spokeswoman for the firm said: ‘The central London fee, adding £1 to trips in the capital, will go directly to drivers to help them cover the new congestion charge. ‘By exempting Uber Pool trips, we will help reduce traffic and toxicity in London. 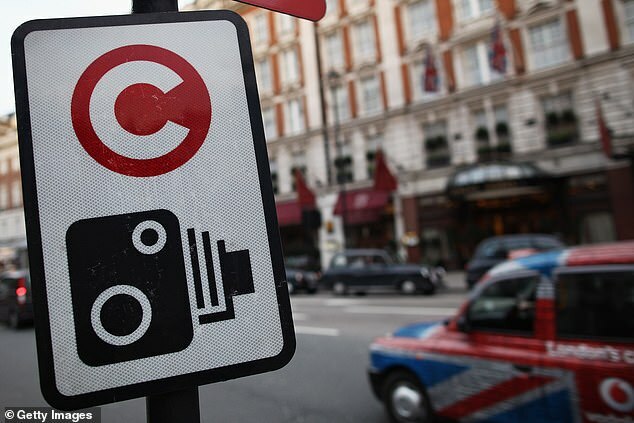 Meanwhile, drivers seeking to pay the congestion charge over the weekend were unable to complete the transaction after the website was being upgraded for Monday’s launch of the Ulez charge. 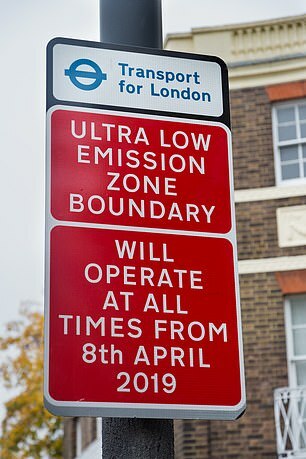 A TfL spokesperson said: ;While we make our final preparations for the world-leading Ultra Low Emission Zone which starts operating on April 8, as planned and advertised, customers are unable to pay the congestion charge on the TfL website over the weekend.